Helen Marshall reviewed Sing Me Your Scars for The Los Angeles Review of Books. I was a guest on Scott Nicolay’s podcast The Outer Dark and talked about putting together my collection, writing, Lithuanian folklore, the art of titles, forthcoming work, and more. Amanda Gowin interviewed me for Curiouser and Curiouser, where I talk about everything except writing. “Not My Circus, Not My Monkey’s: The Elephant’s Tale” was published in Apex Magazine 75. “Though It Be Darkness There” was published in Flesh Like Smoke. 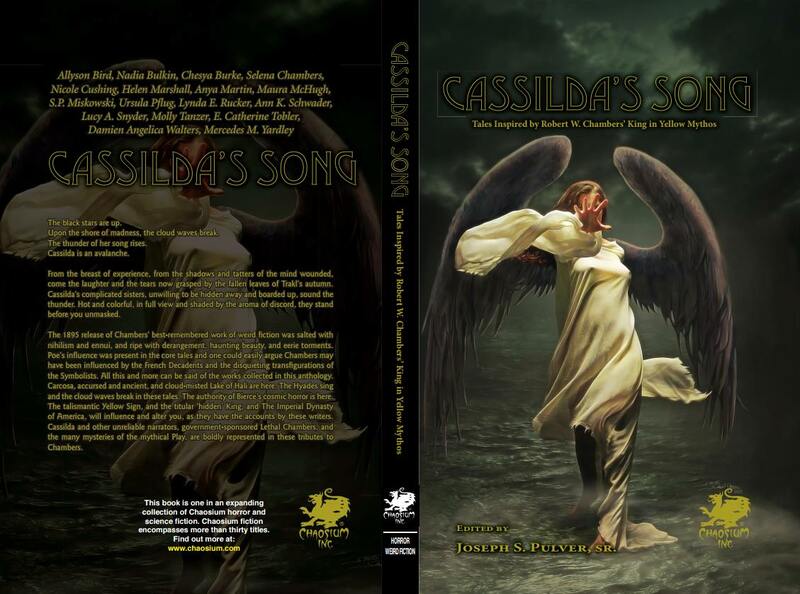 And lastly, here’s the stunning cover for the forthcoming Cassilda’s Song, edited by Joe Pulver. I’ve a short story in this one along with a novelette co-written with E. Catherine Tobler.